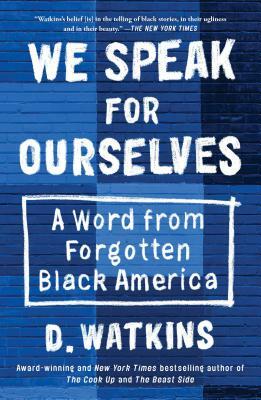 D. Watkins discusses his new book We Speak For Ourselves: A Word From Forgotten Black America. From the row houses of Baltimore to the stoops of Brooklyn, with searing conviction and full compassion, D. Watkins, New York Times bestselling author of The Cook Up and The Beast Side lays bare the voices of the most vulnerable and allows their raw, intimate stories to uncover the systematic injustice threaded within our society. To many, the past 8 years under President Obama were meant to usher in a new post-racial American political era, dissolving the divisions of the past.